The New Year is here and there’s nothing better than a fresh new start, especially when it comes to home remodeling. If you’d like to start a new chapter with something elegant, convenient, and long lasting, a glass fence or railing could be perfect for you and your home. These unique systems give unobstructed views of your landscape, are durable, and of course give that gorgeous modern look for 2019 and many years to come. With one simple upgrade, you can raise your property value by creating a modern, luxurious look that is affordable and long lasting. The upgrade? Replacing your existing barred balcony railing or property-line fence with a sleek, modern glass system. This type of renovation instantly opens up your space by allowing clear views with the safety and wind protection that standard fences fall short of. 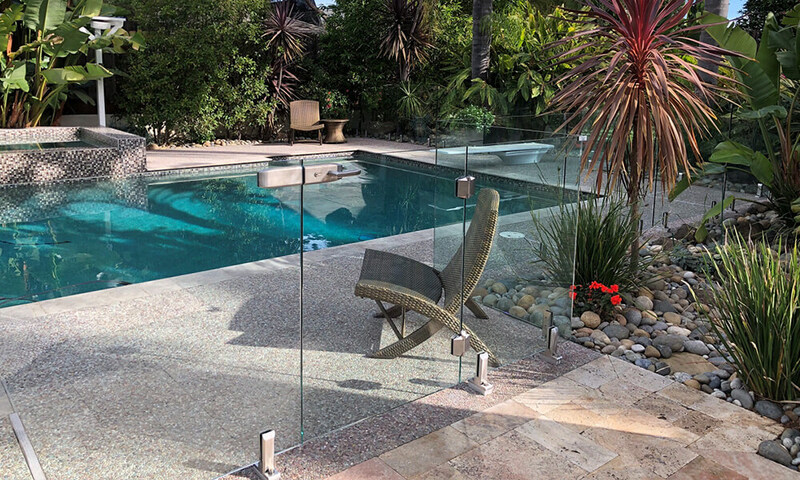 In addition to the aesthetic benefits, glass fencing is also very low maintenance, easy to install, and offers superior durability with ½” thick safety glass. Glass fences and railings offer an elegant, modern look to any balcony, patio area, or backyard. Let’s face it, the newer and more stylish things are the more we are willing to pay for them. Couple that with practicality and you have a price tag worth the spend. The sleek and modern look of a glass railing or fence makes any place look brand new. Whether you are upgrading a property or building a new one, having a clean and clear appearance gives worth for years down the road. Glass installments make any space look larger. Their see-through nature creates an optical illusion of more space than there actually is, maximizing its’ selling potential. Used on any outdoor balcony or patio offers unobstructed views of the landscape around it, giving buyers a full view of the surrounding area. With increasing space, modernizing the look, and offering a product that lasts you’ve by in large increased the value of your property exponentially. 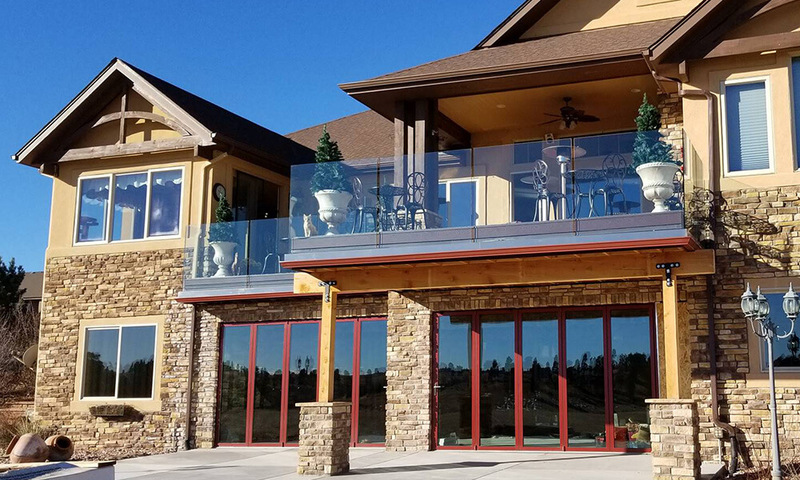 Since glass fencing and railing can withstand high impact and extreme temperatures without breaking, they make for the easiest solution to make a property safer. Durable ½ inch tempered safety glass and stainless steel clamps provide you with secure rooting and durable barriers that are built to last. Our systems won’t weaken over time. This makes them perfect for outdoor balconies, and any other indoor or outdoor use. Fall prevention from high edges, without obstructing views is a major selling point. Staircase railings help to stabilize those going down stairs that are elderly or impaired, or even just a sleepy stroll where we are not as keen. Perhaps their best use however is as a pool fence that protects unattended children. State laws require pool fences because of their safety benefits from drowning by accidentally falling into a pool. By making a property safer, it becomes more inviting to all groups of people – especially families with small children. Add a glass railing or pool fence to increase a property’s safety and value. Wood can decay and metal can rust. Our incredibly durable thick 1/2“ impact-resistant tempered structure glass systems are corrosion-resistant and will cut out the repair or replacement costs. There’s need to replace or repaint over time, leading to a long-lasting new and sleek appearance. 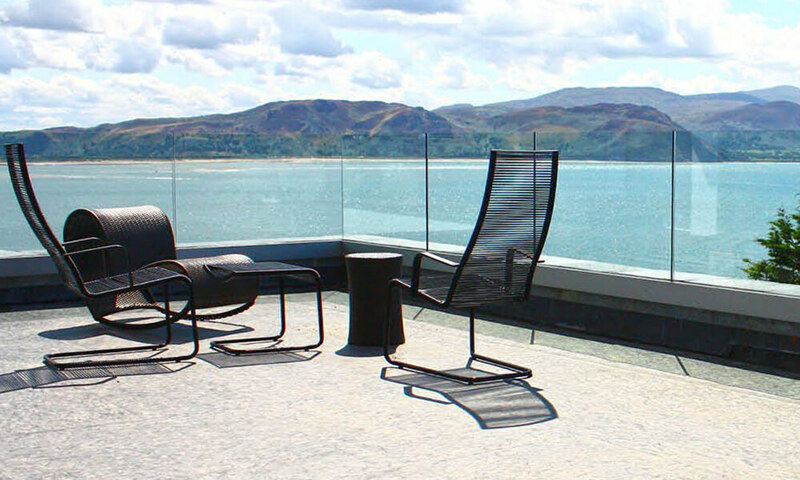 For architects and designers, we also offer industry discounts on our glass railings, as well as access to our network of installers near your projects. It’s an easy solution to make any property appear more attractive to buyers, while providing a long-lasting way to maintain the security and safety of a property. This sturdy glass is six times stronger than regular float glass or annealed glass. Tempered glass is a heat-treated glass. Stresses in the glass are induced in a very specific way to increase the surface stress in relation to the internal stress. This makes it one of the most utilized glass options available in architecture. It is more heat tolerant and less scratch resistant than regular glass. Not only will your fence have a beautiful modern look to view your pool you will also have a tough impact resistant panel that has a 24,000psi rating and engineered to meet HOA laws and pool safety codes. This gives you a product worth every penny.